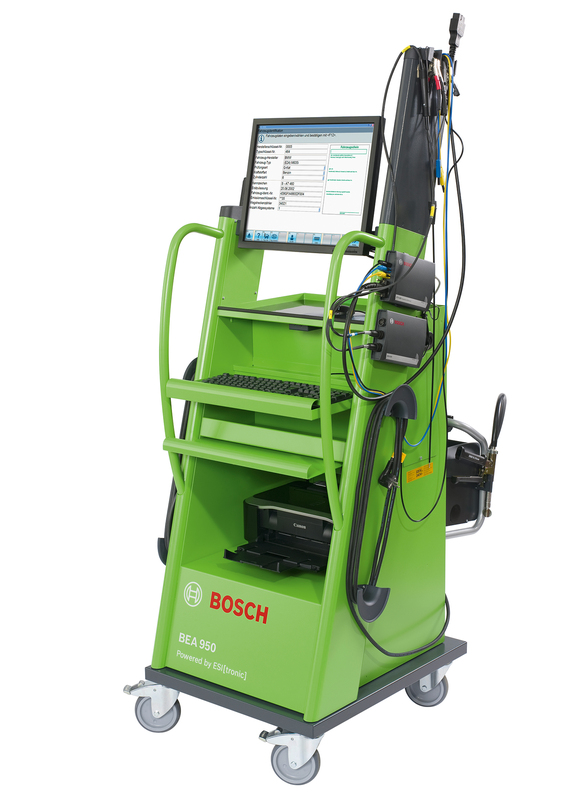 The new Bosch emission testers BEA 550/950 are already equipped for the exhaust-gas analysis according to guideline 5. The BEA-PC system software also supports the new OBD signal protocols already since October 2014. Workshops with a exhaust-gas-analysis data subscription will receive the software complying with guideline 5 together with the emission-analysis target-data update in May. Of course, workshops can also buy the emission-analysis target data including the guideline 5-compliant software by retail from April onwards. The changes required for the new guideline will be implemented in the BEA-PC software exclusively. Devices still working with the ESA emission-analysis software will thus have to be upgraded to the BEA-PC software from June onwards.The BEA 150, 250, 350 and BEA 460 emission testers should be upgraded by the KTS modules 515, 540 or 570. The KTS 115 and KTS-Card modules used so far do not support the new OBD signal protocols. 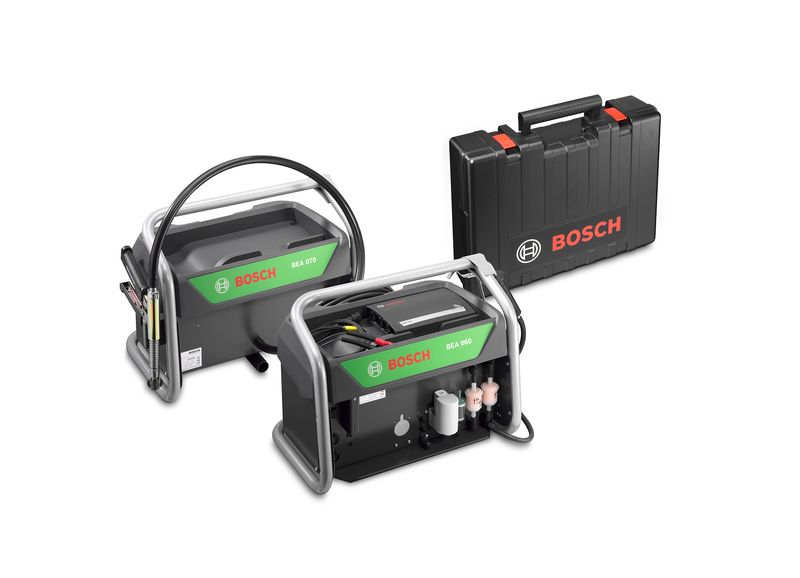 In addition Bosch developed a laptop retrofit kit for the BEA 150, 250 and 350 series. It allows controlling the devices by means of a laptop having installed the BEA-PC software on it. As a consequence, these devices also comply with the new guideline 5. The speed and temperature measurement modules MTM/MTM Plus should be replaced by the BEA 030. 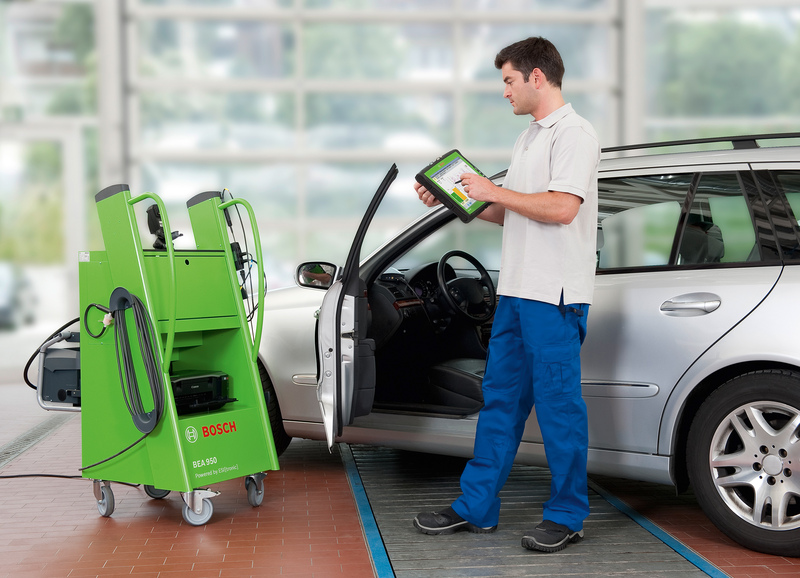 Bosch and the wholesalers support workshops using older emission testers in upgrading their devices by means of a large variety of retrofit kits, special packages and repurchase campaigns. That way, the workshops are timely equipped for the requirements of guideline 5 and the exhaust-gas analysis on Euro 6 vehicles.